Have you ever encountered the difficulty to view the files sent by your friends, boss or colleagues? Your answer may be Yes, I have also faced it due to the compatibility reasons. 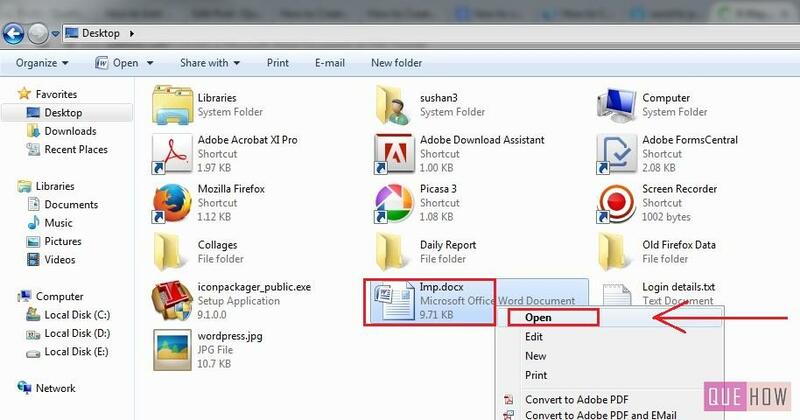 Actually, the simplest way to view and send the files to others, is to convert it into the Portable Document Format (PDF). 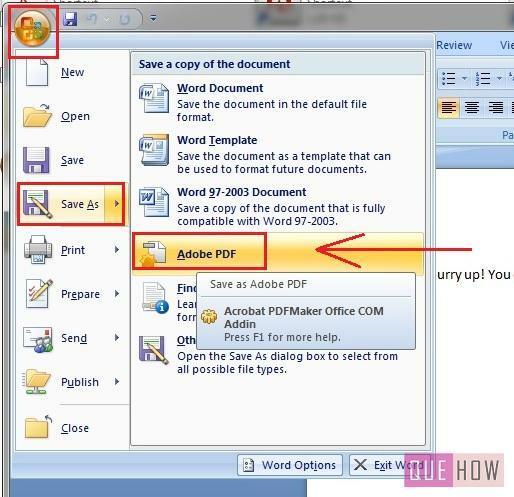 This article will teach you the steps to convert a word file to PDF by following any of the two methods as explained below. 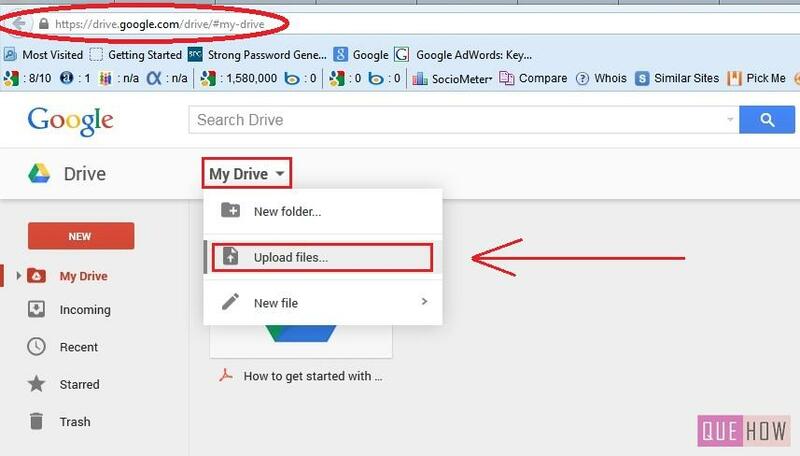 Step 1: Go to the “Google Drive”, login with your Gmail id, then click on “My Drive” and select “Upload files” from the drop down list. Select the word file you want to convert. Step 2: Now the file will appear on “My Drive” as shown. 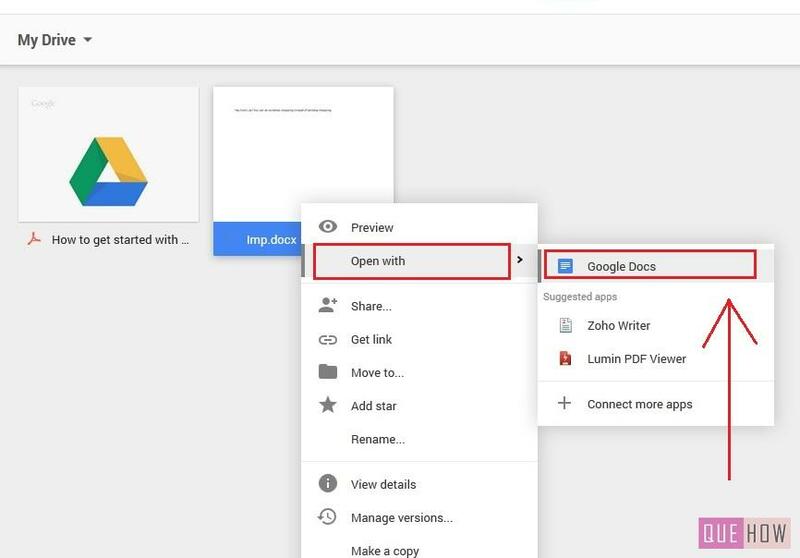 Step 3: Right click on the file, click on “Open with” and then select “Google Docs” so that you would be able to download it in appropriate format. 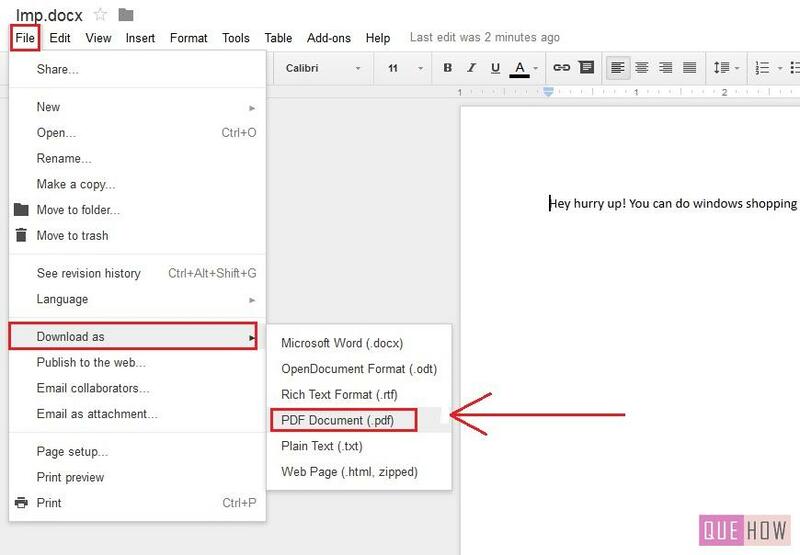 Step 4: Word file will open on “Google Docs”, click on “File” then “Download as” and select “PDF Document”. Step 5: Dialog box will prompt, click on “Save File” radio button then press “OK”. Step 6: Once the download is completed, open the file to see if it is downloaded properly, if any error occurs download it again. 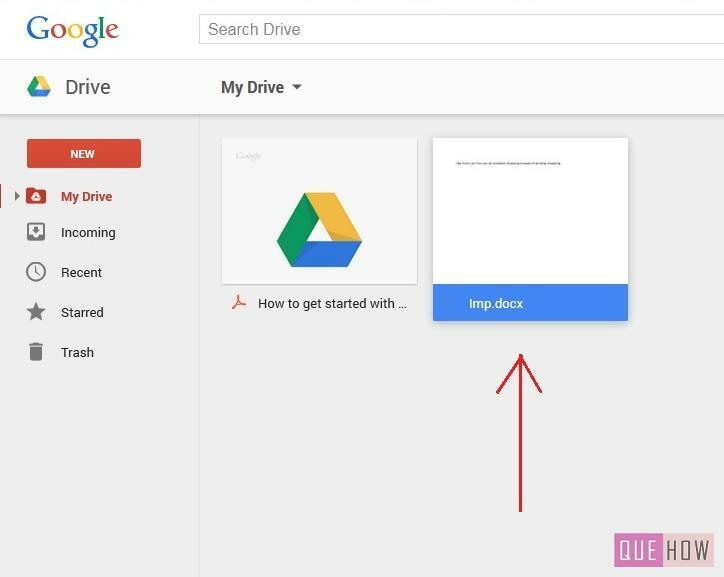 Through Google drive you can convert the document to any format you want such as in Rich Text format, OpenDocument format etc. 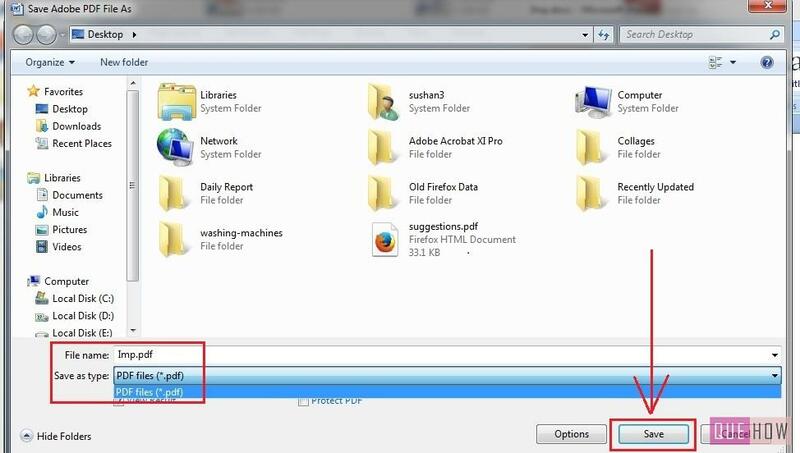 Step 1: Go to the destination where the Word file is stored, right click on it and go to “Open”. Step 2: Click on “File button”, go to “Save As” and click on “PDF or XPS”. 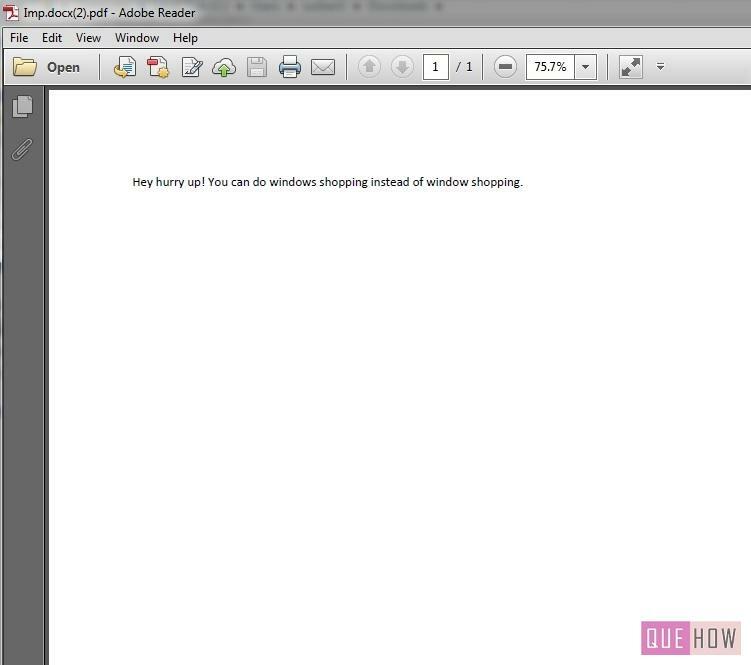 Step 3: “Save As” window will appear check the format and click on “Save”. 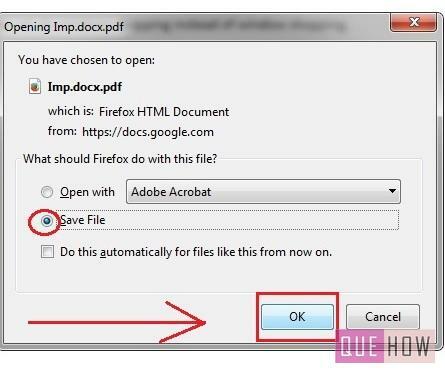 Step 4: You can check the saved pdf by opening it.